On February 15, 1895, Jovita Fuentes, dubbed the First Lady of Philippine Music, was born in the capital town of Capiz (now Roxas City) in Capiz province. Fuentes, who received the distinction in 1976 as the first Filipina National Artist in Music, made a name for herself in European opera at a time when the Philippines was hardly heard of in the region. In recognition of these achievements, she was given the unprecedented award of "Embahadora de Filipinas a su Madre Patria" by Spain. 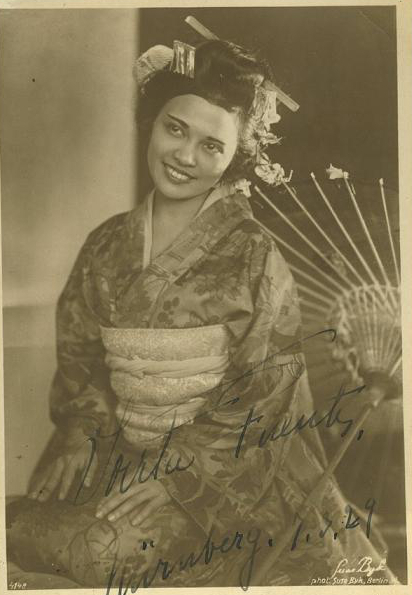 Fuentes attended college at the University of the Philippines Conservatory of Music (1917) and pursued her training abroad to hone and polish her skills in opera singing and acting as well. She later taught at the University of the Philippines. She was responsible for producing operas in the Philippines with dreams of developing the love of opera in the country. On the account of Jovita's influence and appeal, Music Production Foundation was established through Republic Act. No. 3630 signed by President Diosdado Macapagal, which appropriated P900,000 a year as part of the government's support to the Music Promotion, specifically maintaining a Filipino symphony orchestra. Hence, she founded various music associations such as "Asociacion Musical de Filipinas," the Bach Society of the Philippines, and the Artists’ Guild of the Philippines. Fuentes also sang for charitable organizations to raise funds for the maintenance and upkeep of San Lazaro Hospital, Abiertas House of Friendship, La Liga de Damas Catolicas, Convento de Monjas Carmelitas, and the Casa de Buen Pastor. Fuentes garnered numerous other awards and citations, including the Presidential Medal of Merit in Music in 1958. She passed away on August 7, 1978 at the age of 83.